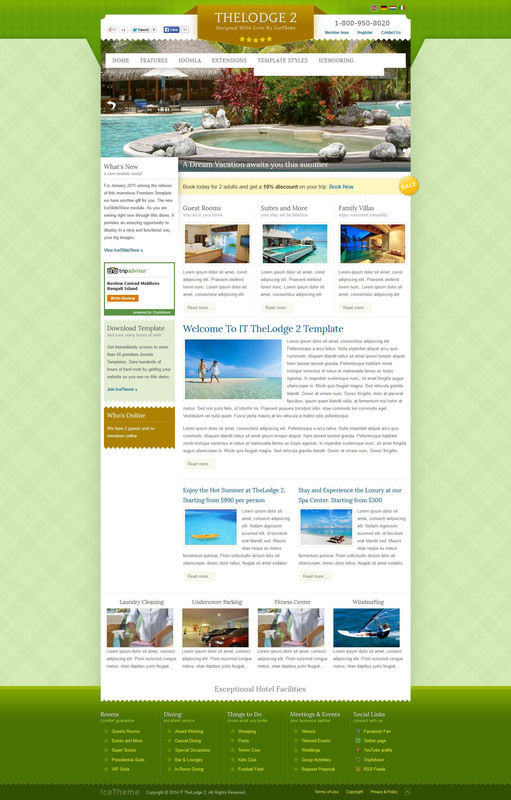 IT TheLodge - stylish hotel template themes from the developers from the studio IceTheme. Gorgeous design layout, incorporating the original color palette is ideal for creating high-quality site. A professionally designed website Hotel, providing a full range of services and the corresponding international standards, is a great solution to attract new potential customers. The presence of additional extensions will allow the studio to arrange a convenient online room reservations directly on the site. Professional framework used for the template, imparts excellent code optimization, fast page loading speed and support for tablet devices. Built-in manager template settings allow in a flexible way to specify the appearance of the site.